After editing some questions I got edit saying that too many pending edits. So, I need to check them which of those are still in pending. This will also help me to revise them and keep track of my edited post. How can see my pending edited posts ? Not the answer you're looking for? Browse other questions tagged support help-center . How are questions about security concerns 'subjective'? 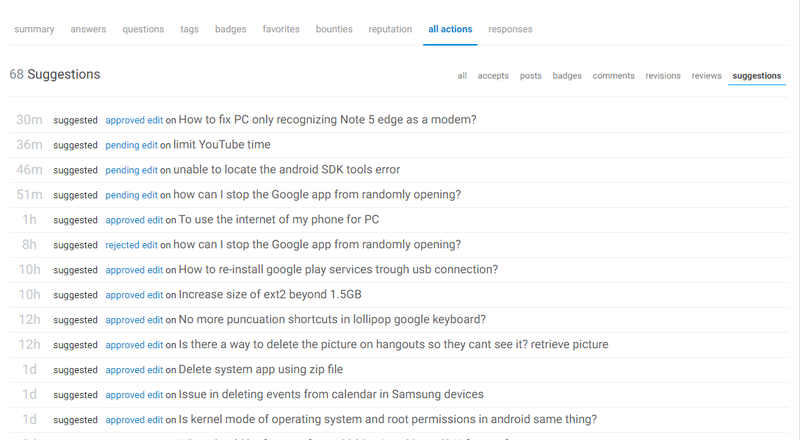 How do I view the list of Accepted Answered Questions? How to view the site activity log?